It may sound complicated; however it’s actually quite simple. The same nitrous hood you use everyday can be adapted to monitor CO2. We’ll show you how. First, use the hole punch or other cylindrical object to make a rounded hole in the nitrous hood near the top. If you are using a hood with a liner, then you will need to puncture through both the liner and the hood, as shown here. You are now ready to attach your CO2 sampling line. 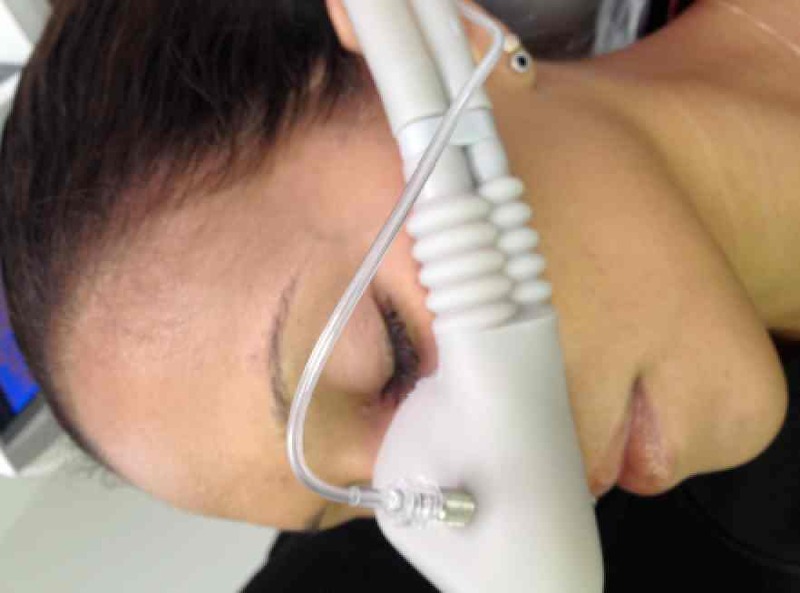 Attach the male luer lock end to the nasal hood adapter and the opposite end to the monitor. Yep, it’s just that simple. How is the tubing and connector cleaned? is the tubing disposable? can it just be wiped down? can the adapter be sterilized? Does it have to be removed fron the hood and liner after each case, if so, wont the holes become worn very quickly? Hi Colleen. The connector is metal and can be autoclaved. The tubing is considered disposable. However, since there is no direct contact with the patient, disposal of the tubing is at your own discretion. As far as removing it from the hood, many practitioners autoclave the hood and adapter as one piece. The way the adapter is designed, the holes do not seem to wear quickly even when removing them often. would you recommend a disposal adapter vs. a metal one? Since the metal adaptor can be sterilized, I would say it is a matter of preference. There is a plastic disposable adapter available. It has a lower profile than the metal adapter and is smoother on the inside of the hood. Many prefer disposable nitrous hoods. If that is the case,then Accutron’s Clearview single use hoods with the built in CO2 pigtail is a good option. What if you want to just use the nasal mask for nitrous and oxygen, is there a cap to occlude the opening? Hi Perry….The disposable plastic version of the nitrous hood adapter does come with a cap to occlude. Any standard luer cap, such as one use on a syringe will work for the metal version. Hello. Do you have the tubing separate for the nasal hood adapter? Yes. We do. There are different versions according to the type of monitor that you have. Some monitors need a female luer lok on the monitor side, however most patient monitors, such as, the Criticare nGenuity and the Nonin RespSense monitors will require a male luer lok.